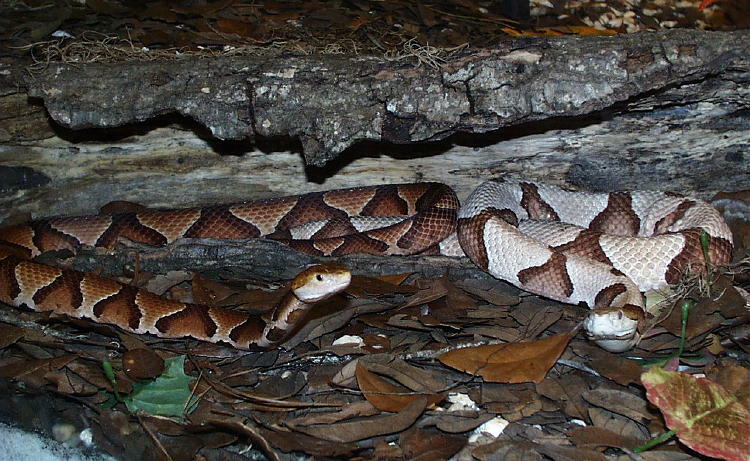 This page features some of the herps at the Jacksonville Zoological Gardens. They have some really nice, and rare arboreal vipers from Africa. Greg Lepera, a good friend of mine, heads up the Reptile department and is a veritable wealth of knowledge. Some new shots from my last trip in Sept. 03 Hope you enjoy the photos !!! Click on images to see them full size!! 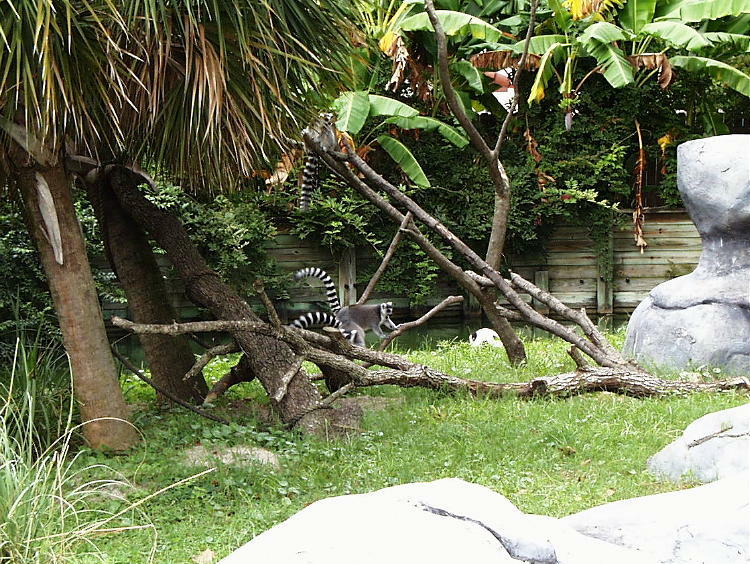 Some Ringtail Lemars having some fun on a slightly cooler summer day. Atheris desaixi An Incredibly rare species of Atheris, if not the rarest, the Mt. Kenya Bush Viper (Atheris desaixi) is only found on Mt. Kenya. Notice the yellow highlights on every black scale. Unbelievable animal. The scales on the head are extremely coarse and flair up at each tip similar the the "hairy bush viper". I wanted to get a Macro shot of the head, but at 6 inches away, it was just too risky. Atheris desaixi Another shot the Mt. Kenya Bush Viper from above. The zoo has 2.1 of these beautiful rare vipers and will hopefully produce them in captivity over the next few years. Atheris chloroechis Another beautiful species of Atheris, Atheris chloroechis, or the Western Bush Viper. Spectacular blue/green head with yellow chevrons and blue eyes. Atheris cerataphora Perhaps the most exotic and beautiful of all Atheris species, Atheris cerataphora or the Usambara Mountain Viper. These animals are characterized by the bizarre modified multi horned supraocular scales and a beautiful yellow and black textured appearance. My wife Pamela and the "Infamous" Greg Lepera in the off exhibit area of the African reptile building. Dendroaspis viridis These are a pair of West African Green Mambas. These beautiful 6 foot animals are extremely agile, fast and dangerous. Notice the beautiful scalloped coloration on the incredibly large scales. 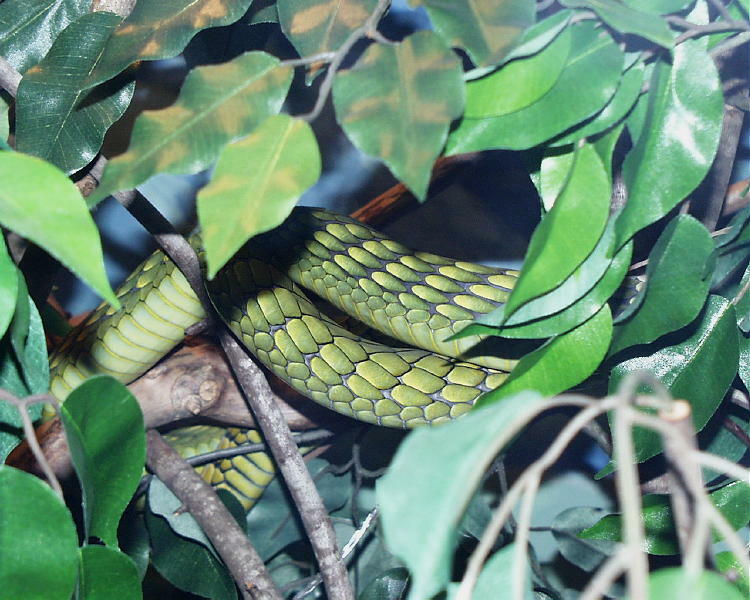 The East African species are the light green variety and have much smaller scales. Dendroaspis viridis A close up shot of those huge scales. 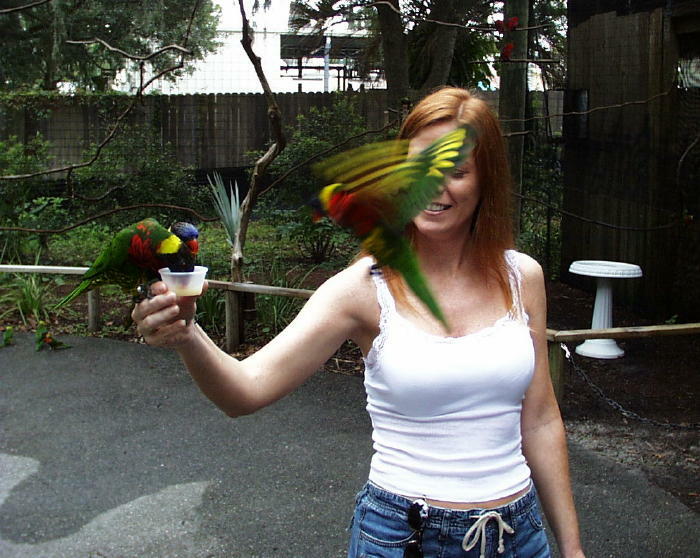 Pam feeding some different species of Lorys. 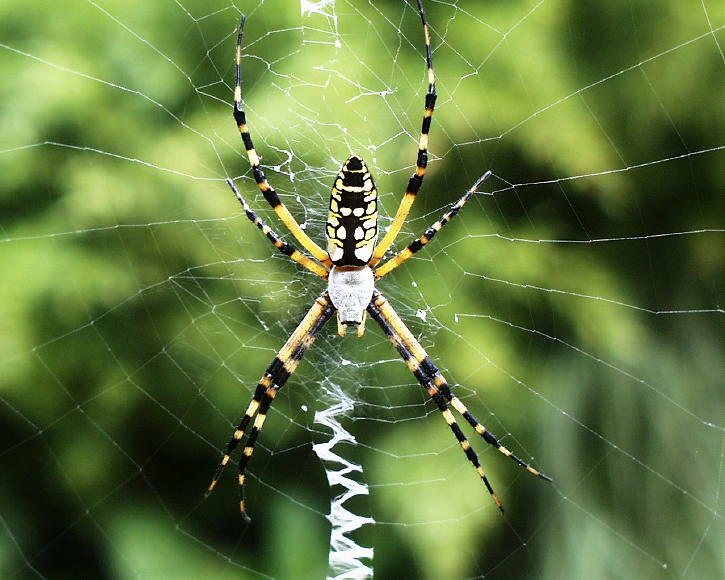 This is a beautiful garden spider we photographed in some bushes near the reptile house. Photographs, Graphics, & ALL Other Content Copyright� 1998-Current by Awesome Arboreals. All Rights Reserved.